Amid increased reporting of antibiotic resistance (ABR) worldwide, local health experts have called on South African doctors to more fully participate in and support efforts aimed at curbing the growing threat of antibiotic resistant superbugs in our country. In general, doctors tend to err on the side of caution by prescribing antibiotics, but with the growing incidence of ABR, it is critical that doctors limit the prescribing of antibiotics to only those whose condition demands it or else it could soon render antibiotics ineffective. Reported cases of ABR have already reached well beyond tuberculosis in SA, which affects an estimated 450 000 South Africans per annum. Leaders in the medical field, such as Dr Dean Gopalan, President of the Critical Care Society of SA and Head of Critical Care at the University of KZN, highlights the need to employ multiple strategies to minimize ABR. He singled out BugWise – an innovative app designed to curb the growing threat of antibiotic resistance as an important intervention that every doctor should support. “Without the widespread adoption and participation from doctors, the impact of initiatives such as BugWise will be negligible. ABR requires the attention of every healthcare practitioner, as well as the general public. If left unchecked, it could claim 10 million lives per annum by 2050,” he says. Gopalan points to the infectious superbug, Klebsiella, that claimed the lives of six babies recently at the Thelle Mogoerane Hospital in Vosloorus, which shows how rapidly these antibiotic resistant bacteria can spread. Although ESBL’s and CRE’s remain the biggest threat for the moment, another, superbug, which was recently discovered by researchers at the University of Melbourne, now joins the list of potentially dangerous superbugs as it has proven to be resistant to all known antibiotics. Researchers reported that the multidrug-resistant bacteria, known as Staphylococcus epidermidis (S. epidermidis) is spreading undetected through hospital wards across the globe. It was discovered after scientists tested hundreds of samples from 78 hospitals across ten countries. epidermidis is found on human skin and primarily infects patients who are already very ill, the elderly or those who have prosthetic implants. It wasn’t previously considered a threat, with scientists more concerned about other bacteria such, methicillin-resistant Staphylococcus aureus (MRSA), but it is said to cause severe infections and possibly even death because it has become so resistant to antibiotics. Researchers believe the rapid spreading of the bacteria is because of the high use of antibiotics in intensive care units (ICUs) where it is routinely administered. 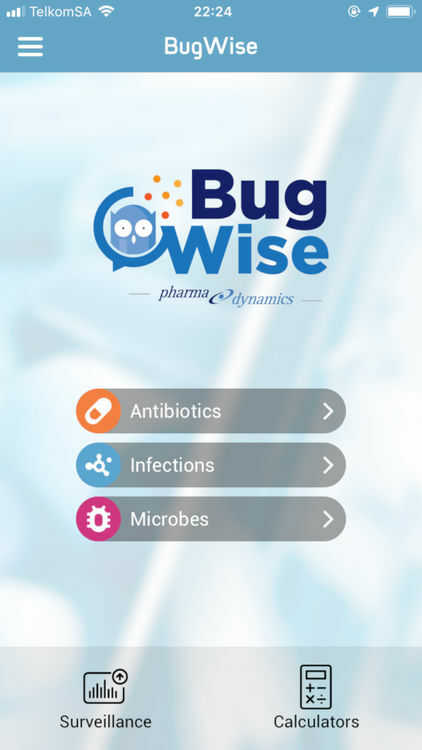 The BugWise app – conceived and developed by Pharma Dynamics with input from a broad range of medical and IT experts – as part of the company’s support of Antibiotic Stewardship, is a one-stop-app for doctors and patients alike. The app will help healthcare practitioners in private and public healthcare settings to optimise treatment while minimising antibiotic resistance. For example, doctors can access information on medicines, guidelines and relevant clinical data or they can cross-check symptoms against infections. Doctors will also be able to check for likely medicine interactions. Furthermore, the app allows doctors access to currently available ABR surveillance data in South Africa, provided by the SA Society of Clinical Microbiologists (SASCM), the National Institute of Communicable Diseases (NICD) and other relevant local publications. With this information, they can identify patterns of antibiotic sensitivities in their geographical area of practice. Patients will also benefit from the BugWise app by researching information about their condition, along with the medication they have been prescribed. The app also adequately educates patients about antibiotics and the dangers associated with incorrect use. Most importantly, the BugWise app has a medicine reminder function, to ensure patient compliance and hence reduce the risk of resistance developing. Dr Gopalan says that although there are various apps that provide antibiotic information, there is no single source where a doctor can find all the information he/she may require on one platform. “The window of opportunity to control ABR is rapidly closing. Rational antimicrobial use is key. All healthcare practitioners must play a role. Use the BugWise app and be part of this initiative against antibiotic resistance,” encourages Dr Gopalan. Annemarie Blackmore, Antimicrobial Portfolio Manager at Pharma Dynamics says they are very excited about the role that BugWise can play in assisting the fight against antibiotic resistance. “For a socially responsible company such as ours, we believe it is imperative to find solutions to critical health challenges that face our country. BugWise is another proof point of our commitment to health promotion in SA and if used optimally by doctors could support efforts to avert a potential ABR crisis,” she says. 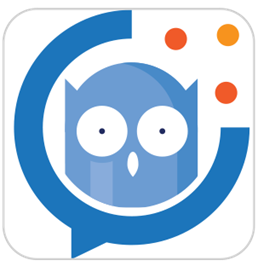 The BugWise app can be accessed via both android and iOS phones, and be downloaded (free of charge) from either the Apple or Google play store. During World Antibiotics Awareness Week (12 – 18 November), doctors and pharmacists can play a critical role by talking to patients and customers about the responsible use of antibiotics, as well as infection prevention. The World Health Organisation has developed a range of posters, videos, pamphlets, info-graphics, quizzes and the like which doctors and pharmacists can use in waiting rooms or in-store to drive home the message to the public. These educational materials can be downloaded (free of charge) from http://www.who.int/campaigns/world-antibiotic-awareness-week/en/. Also look out for Pharma Dynamics’ educational material in this regard, which have been distributed to hospitals and pharmacies countrywide.